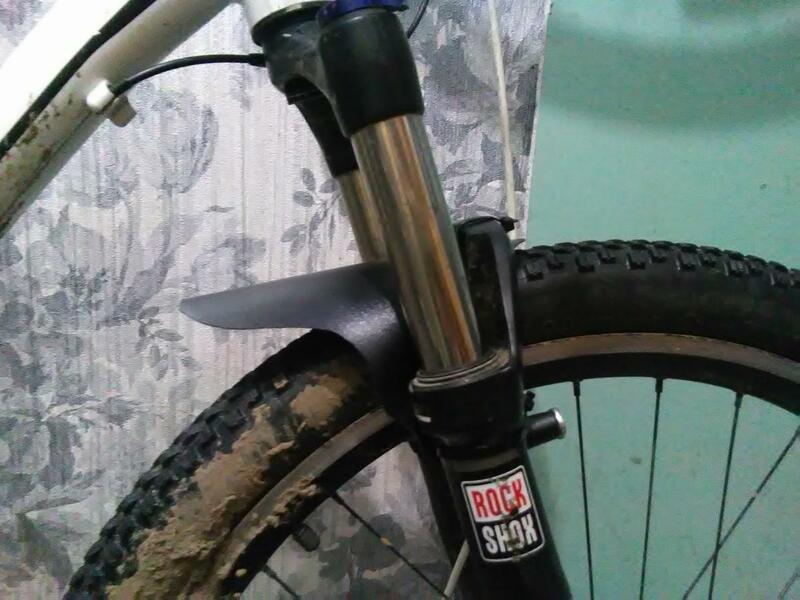 My trusty front fenders from SKS started to show wear and tear. 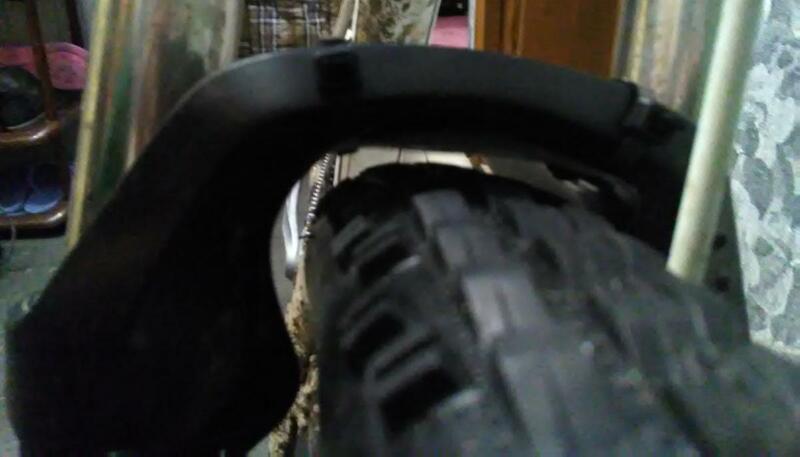 Although I will be able to rock with them for at least a half of the a season, I decided to make something myself, like those fancy mudguards that are mounted close to the wheel with Zip-ties. 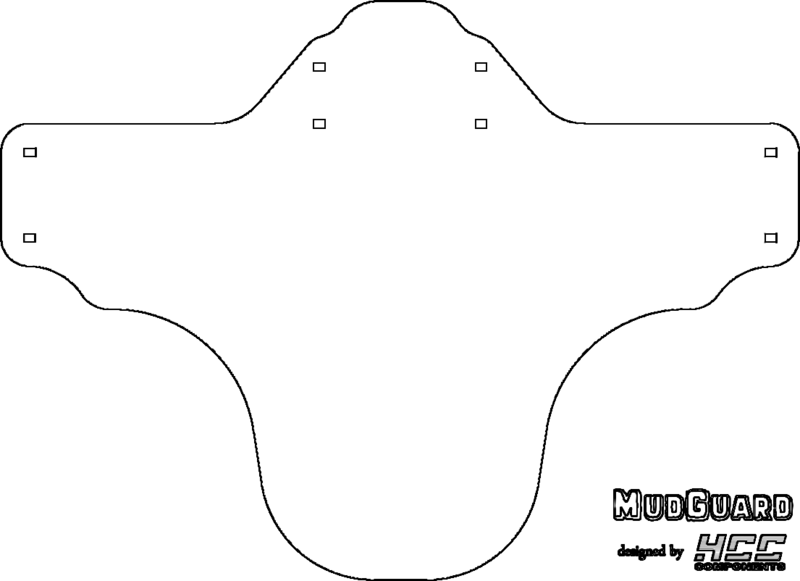 I found the forum post on the MTBR linking to a mudguard template. The original PDF contains the pattern to cut, but it is all black. To print it on paper is so wasteful! After all, it is the border of the figure that is only useful. Then I printed it on an A4 paper, aligned it to a black plastic paper folder cover, used a sharp knife to cut through it, marked positions of holes. A pair of scissors helped to cut it by perimiter, and a red-hot nail assisted to create holes and a lot of stinky smell. It turned out to be a very good idea to form the flat mudguard into a curvy state by heating it above the gas stove while holding it folded in half. Be careful not to burn your hand though. After the forming the mudguard is more obedient than what it was when it was flat. Two zip-ties attach the mudguard under the fork arch. Another pair ties it to the legs. I am not at all sure that such setup will work in my conditions, especially at winter, as snow manages to clog everything. On the other hand, snow does not create a problem with dirt flying all over the face — it is typically cleaner when stuff freezes.